Local Development Finance Authority: What's in it for Huron Residents? 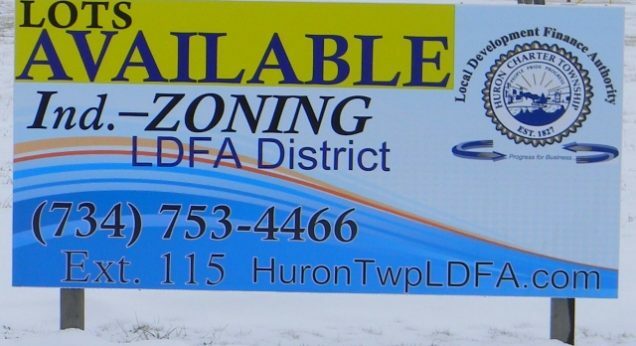 The Local Development Finance Authority (LDFA) of Huron Township is comprised of nine trustee members currently with one appointee still needed as of April 2018. These trustees include representation from Wayne County, the Community college district and the Huron Township school board as well as concerned residents who were appointed to this commission. They make the decisions which drive business and economic growth to the Township of Huron and New Boston, Michigan. LDFA’s in general may be created by cities, villages, and urban townships to encourage local commercial or industrial development, to prevent conditions of unemployment, and to promote growth. The major benefits of having an LDFA in your township or city is economic development/business development; marketing of the various properties available; planning for the right business; blight elimination; infrastructure upgrades and a variety of activities including business rehabilitation and new construction to meet a community’s individual business needs. But the biggest impact on a community and residents who have a LDFA is the incremental economic growth which includes well paying jobs and additional families moving into town and utilizing township businesses. Why should a company locate in a LDFA Huron Township boundary? Benefits include access to low interest rates for fixed asset purchasing and capital financing. Class A Sewer and Water, Surface roads already placed in some parts of the Huron Township LDFA. Companies that are most suited for these parcels include businesses in Manufacturing, Agricultural Processing, High Technology Corporations (SmartZones), Energy Production and Business Incubators.